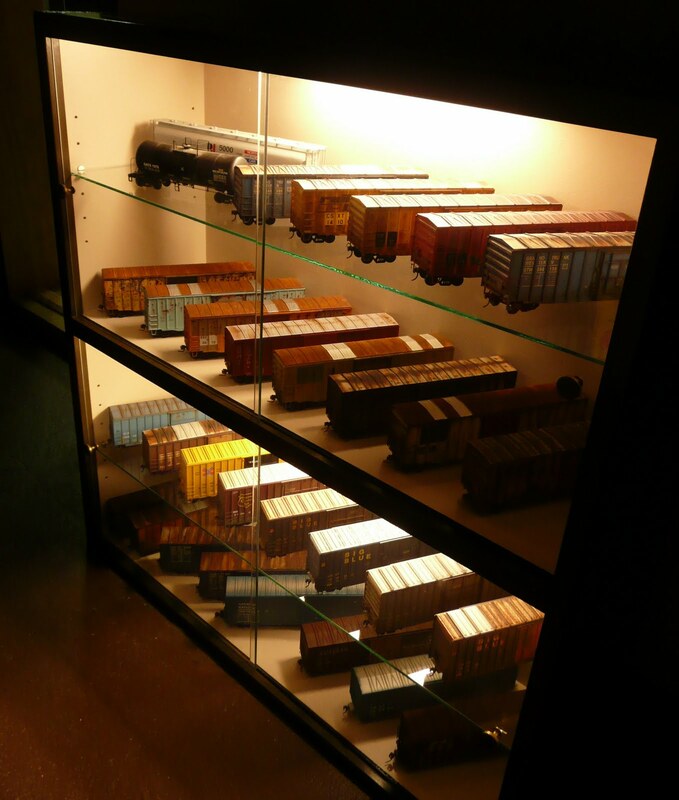 This weekend I switched gears from layout construction to freight car upgrades. A change of pace is always good! 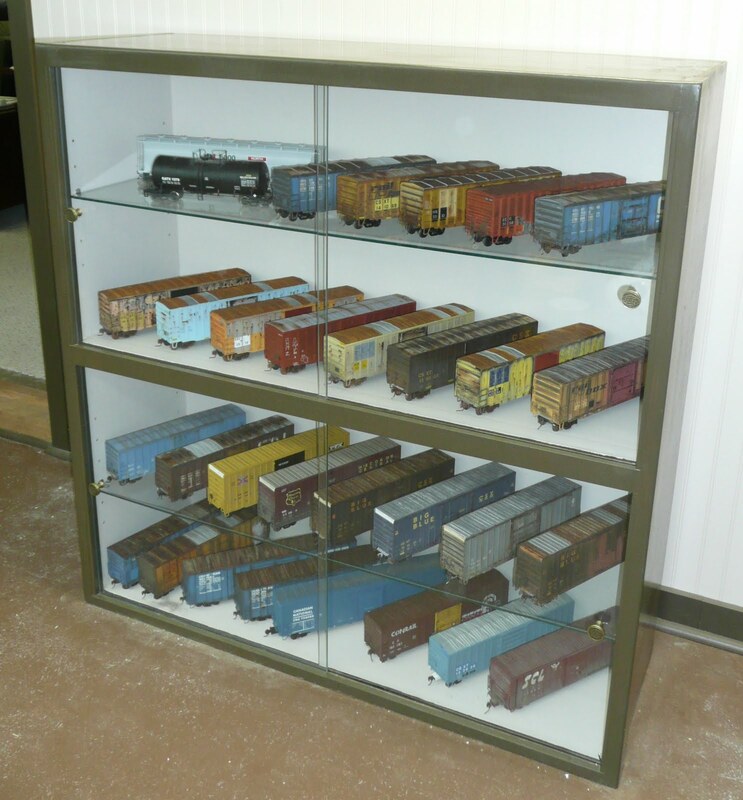 I decided to upgrade the trucks on my Weaver 50-foot boxcars. These cars look great when weathered and detailed! One downer, however, is that the Weaver trucks do not have rotating roller bearing caps. Being a railroader, when I see a moving car with frozen bearings my first thought is that someone left a tight handbrake on! To remedy this problem, I decided to upgrade the cars using Lionel trucks and NWSL wheelsets. 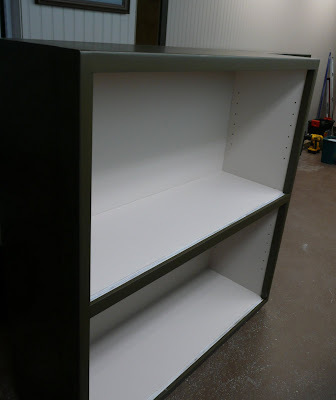 The conversion is very easy and simply involves flipping the carfloor. 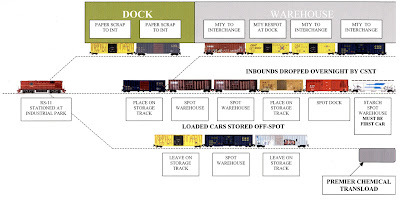 The Lionel trucks are built differently than Weaver's. 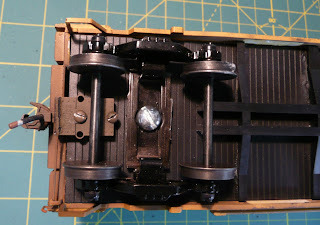 Inverting the floor gives a flush mounting surface for the Lionel's. 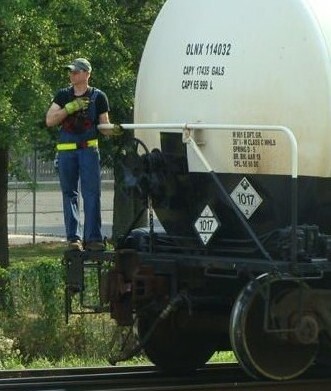 It just so happens that the resulting car and coupler height are dead-on the NMRA height gauge. No extra shimming is necessary. The ribbed side of the carfloor becomes the bottom; the smooth side becomes the top. 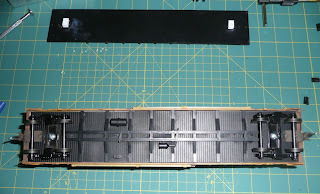 I add small blocks of styrene over the truck mounting holes (see top of photo below). The styrene, when drilled and tapped, gives the mounting screws a little more bite. I drilled and tapped for 10-32 machine screws, then reattached the underframe assembly to the ribbed side of the car floor with ACC. 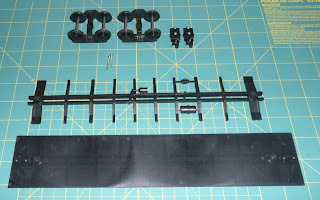 Last was adding Kadee couplers and installing the trucks. 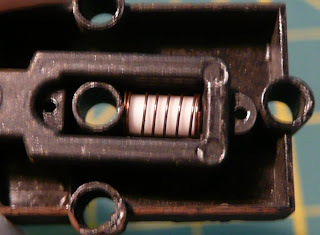 I insert 4mm lengths of 0.093 diameter styrene into the coupler spring to eliminate the caterpillar-like effect of the Kadee's. There is just enough slack action to create a realistic effect, while the coupler still moves side to side freely. 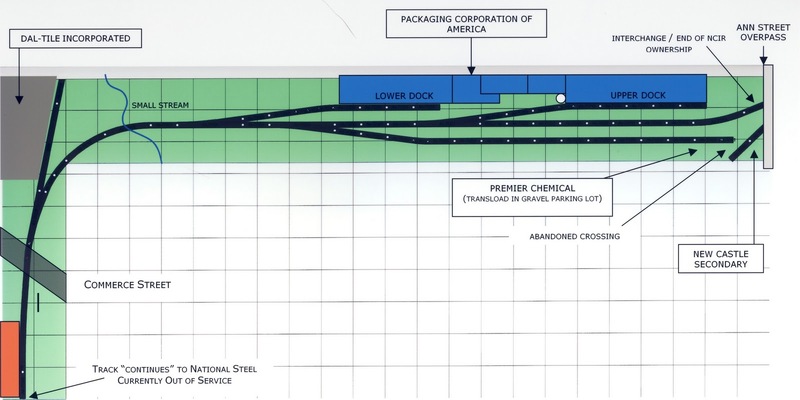 Packaging Corp. of America requested a 7:00 am shift this morning. 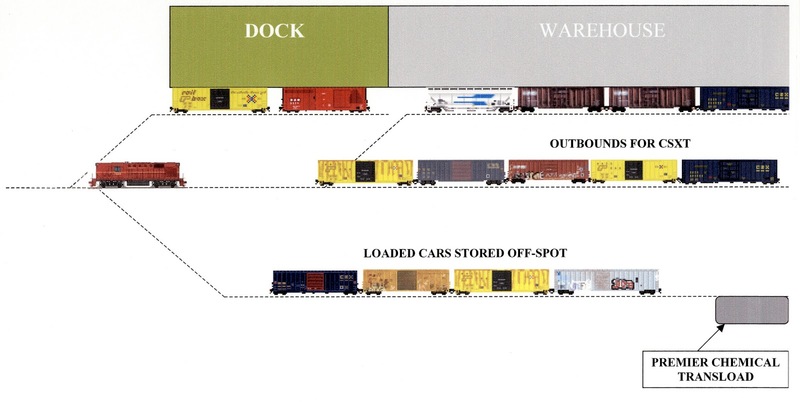 They are anxious for a couple hot cars that came in overnight off CSXT, along with a couple more loads from the storage track. 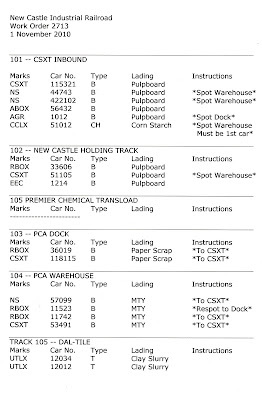 They also have an empty car to be respotted for scrap paper loading. 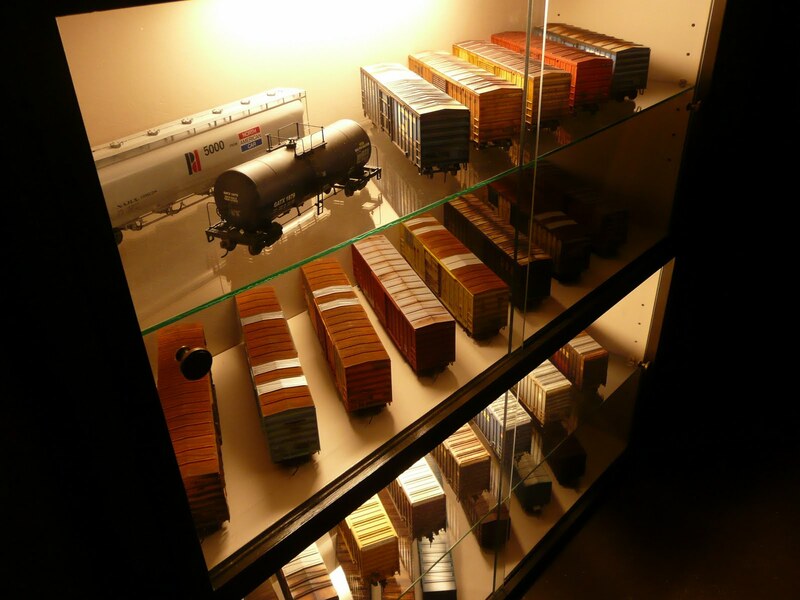 I've been operating the NCIR, in its final form, for about a month now. Most sessions average 1 hour. ..just what I had in mind. There are so many variables (e.g. 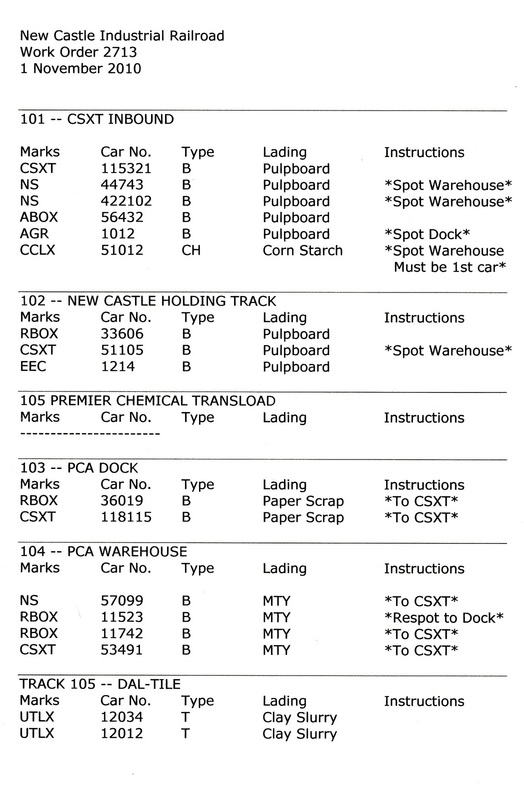 number of inbounds, spots, respots, cars on/off the holding track, loaded scrap paper cars that must be held because billing is not completed etc.) that no two sessions are ever the same. I experimented with several lighting configurations before I found one that I was happy with. I ultimately settled on a combination of 4-tube fixtures directly over the layout + a 2-tube fixture mounted slightly in front of the benchwork, close to the valence. I placed Phillips Daylight Deluxe tubes in the overhead fixtures. This gives a great ambient light source for the layout. However, the Daylight tubes alone give off a very bright but cold-looking light. I needed something to soften the light, and at the same time, shine down at an angle so as to really bring out the detail and weathering on my rolling stock. I tried track lighting with halogen fixtures, but could not eliminate "pools" of light at the front of the layout and multiple shadows to the rear. However, I found a second set of fluorescents, with cool white tubes, to be the answer. The cool whites give a beautiful, angled light to the layout, replicating a late Autumn day (my scenery will be set in November) and the daylight bulbs overhead give everything a nice, seemless punch. I could not use the same shadowbox style lighting above the Commerce Street district due to overhead ductwork. 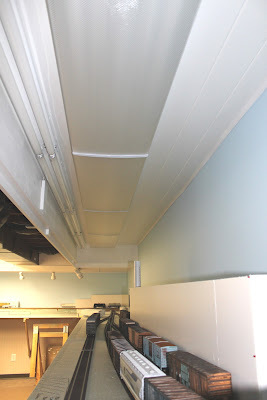 The ducts and utilities also eliminated any type of recessed can lights within the drop ceiling. So, I went with pigtail fluorescents mounted in track light fixtures attached to the valence. 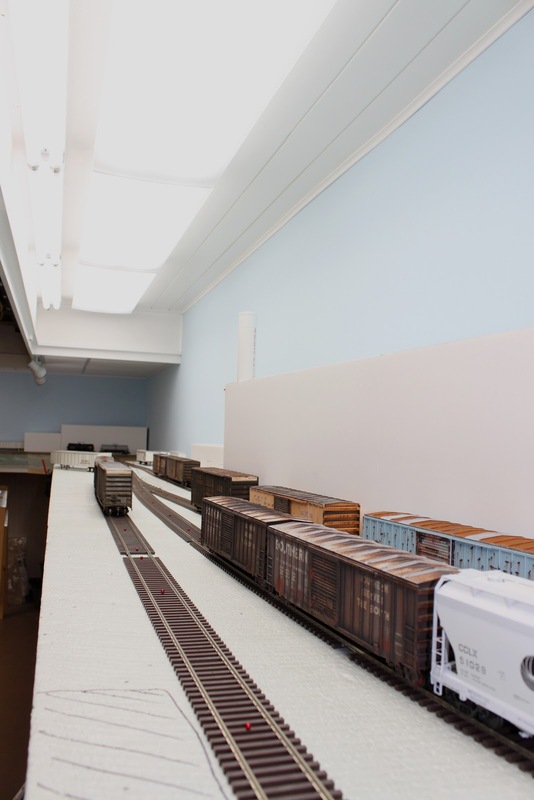 The NCIR occupies two walls of my 10 x 25 railroad room, which is located in the basement of our home. 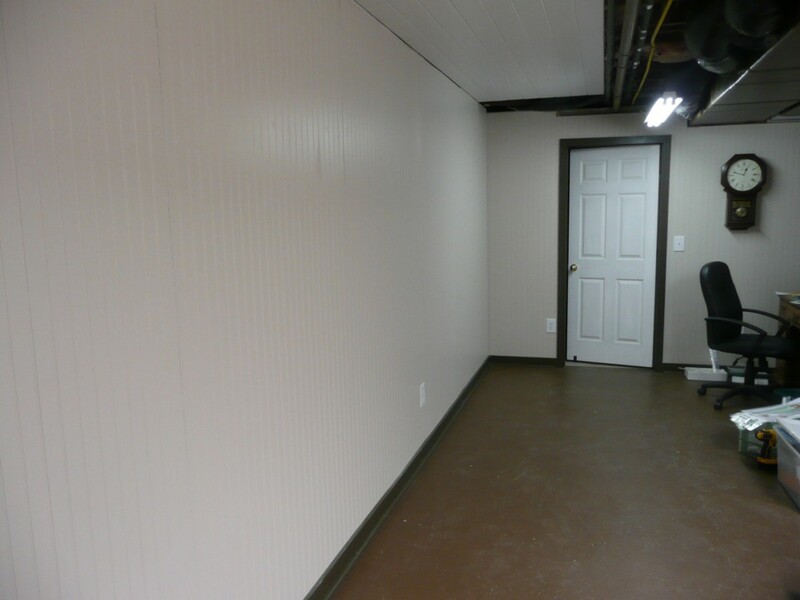 I wanted a dry, comfortable area in which to model, but did not go overboard finishing the room. One thing I made sure of was to maintain easy access to all pipes and wiring. I gave the block walls two coats of Dry-Lok paint and insulated with 1-inch pink foamboard. I framed up new 2 x 4 walls (using pressure treated for the base plate), ran wiring and covered with beadboard. I was going for a look similar to the interior of a railroad depot. NCIR's reference library is located adjacent to the shop. Reference articles from magazines are grouped by subject into binders for easy access. I insulated the area above the main part of the layout, then installed tongue and groove planking. 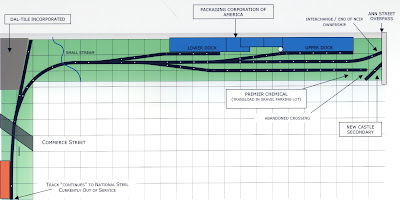 The planking is in an area with no overhead wiring/pipes. I then painted the planking white to help reflect light down onto the layout. A drop ceiling conceals low HVAC ducts and water pipes above the Commerce Street section of the layout. Access to the utility pipes is still easy...one thing I wanted to make sure of! Murphy's law you know. Upon moving into our house, we found that the previous owners left us two wooden cabinets down in the shop. 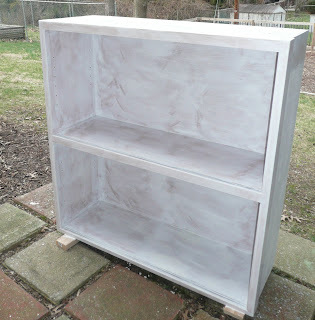 These cabinets were not in the best of shape; having paint stains, screw holes, scratches and other various battle scars. 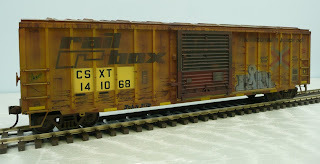 My modest roster of O scale boxcars consists of beautifully weathered models by Don Smith, Tim Carlson and Jim Lund. I needed a safe place to keep these beauties while they were off the layout. So, I decided to go to work on the battered wooden shelves and attempt to transform them into display cases for my rolling stock. After sealing the new paint with a couple coats of polyurethane, I added cut-glass shelving, sliding glass doors, and brass drawer pulls. 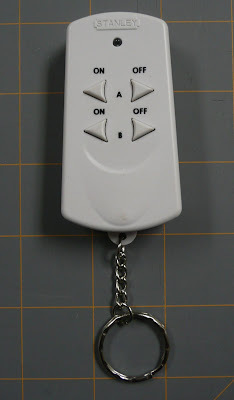 The cabinet lights work off this neat remote control unit I found while Christmas shopping with my wife. For around $10.00 you get a remote control unit and a receiver that plugs into the wall outlet. Simply plug whatever device you want into the receiver and then switch it on/off with the remote.